Coffee, like gold, sugar and oil, has long been one of Latin America’s major exports, sustaining everyone from independent farmers in mountain regions to corporate bankers in capital cities. Over the last decade, changing climate patterns have intensified droughts and plagues in the region, creating conditions less suitable for coffee production and wreaking havoc on the industry that came to define, even shape, many hillsides in rural Central and South America. Coffee, like gold, sugar and oil, has long been one of Latin America’s major exports, sustaining everyone from independent farmers in mountain regions to corporate bankers in capital cities, all while keeping weary minds alert throughout the world. 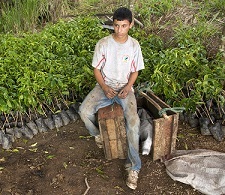 Image: Coffee Grower in Ecuador (Diego Cupolo). Yet over the last decade, changing climate patterns have intensified droughts and plagues in the region, creating conditions less suitable for coffee production and wreaking havoc on the industry that came to define, even shape, many hillsides in rural Central and South America. Today, as coffee growers struggle to recover from a string of weather-related events, some industry analysts have already foreseen a major shift in coffee production towards Asia and away from Latin America. The long series of problems came to a peak this spring, when coffee prices doubled after a severe drought stunted the growing season in Brazil, the world’s top coffee exporter. The extent of the damage remains unknown, but the price hike arrived at the same time that many other Latin American nations underwent a record-breaking epidemic of coffee rust, or “roya” in Spanish, a fungus known to suffocate coffee trees and lower bean yields. The rust outbreak began in 2012 and has since affected nations spanning from Mexico to Peru, with countries in Central America experiencing the highest levels of crop loss, said Monika Firl, social projects manager at Cooperative Coffees, a Montreal-based sourcing co-op that imports specialty coffee. 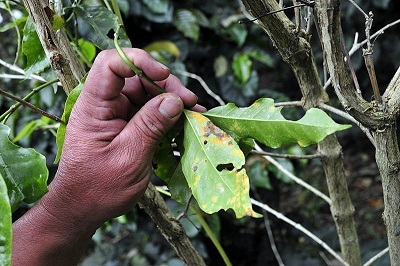 The outbreak is just one of three major epidemics to hit Latin American coffee growers in the last six years. There was also a coffee rust outbreak in Colombia from 2008-2011, where nearly a third of the nation’s harvest was lost to the fungus. Along with this year’s drought in Brazil, the three events were caused by erratic climate patterns, said Peter Baker a senior scientist specializing in commodities and climate change at the Centre for Agricultural Bioscience International. Image: Coffee rust examples (Wikimedia Commons). “It’s difficult to point the finger directly and say it’s because of climate change, but it’s consistent with more chaotic weather patterns which I think we’re seeing globally,” Baker said during a phone interview in May 2014. Aside from higher prices and lower quality brews for consumers worldwide, the wave of agricultural catastrophes threatens the economic foundation of coffee growing nations in Latin America, where total coffee production has dropped about 20 percent since 2011, an estimated loss of more than $1 billion. 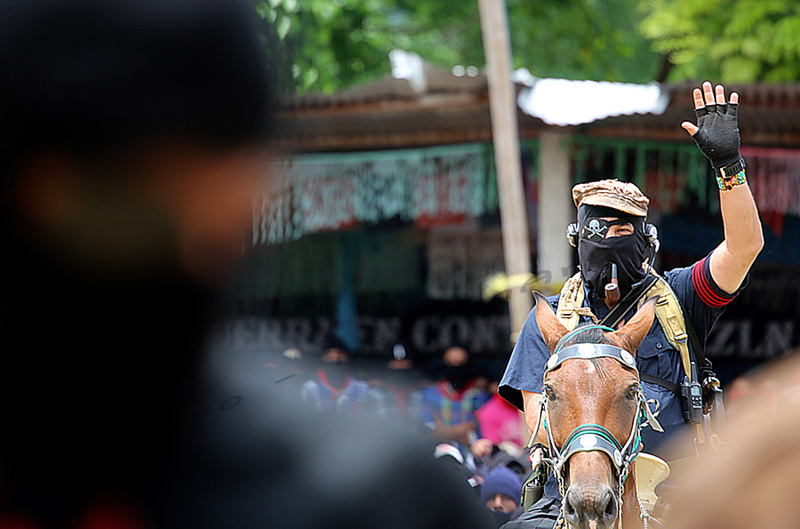 In Central America alone, about 5 million people get their livelihood, directly or indirectly, from the coffee and their future remains uncertain. The latest report from the Intergovernmental Panel on Climate Change (IPCC) states “the suitability for coffee crops in Costa Rica, Nicaragua and El Salvador will be reduced by 40 percent” with increasing of temperatures. Regarding Brazil, the report says warmer summers could make coffee crop unfeasible in Minas Gerais and São Paulo, the nation’s major coffee growing states. Meanwhile, countries like Vietnam, Indonesia and China are stepping up their coffee production to fill global demand as many Latin American coffee growers face a 2-3 year recovery period before they can return to pre-plague harvest figures. Baker said mitigation efforts are often slowed and complicated by their costs, as they require significant investments and adaptations, which most independent farmers cannot afford without government assistance. If current trends continue, rural areas from Mexico to Brazil, many of which are already afflicted with poverty and malnutrition, are bound to experience higher unemployment rates, increasing hunger and, eventually, mass migration. While speaking of the many causes behind the current rust outbreak, W. Alejandro Sanchez, a senior research fellow at the Council on Hemispheric Affairs (COHA), pointed out the fragility of commodity-based economies in Latin America. From the environment to farming practices, the recent outbreaks were created by a myriad of conditions, which scientists are still trying to define. While there hasn’t been conclusive research on the subject, the main causes for rust seem to correlate with rising heat and humidity. Many other factors are also exacerbating the rust outbreak, including land use methods, degradation of soil quality, use and misuse of fertilizers or fungicides and a general shift towards high-density monoculture farming that allows easier disease transmission between plants. Image: Coffee rust in Colombia (Wikimedia Commons). 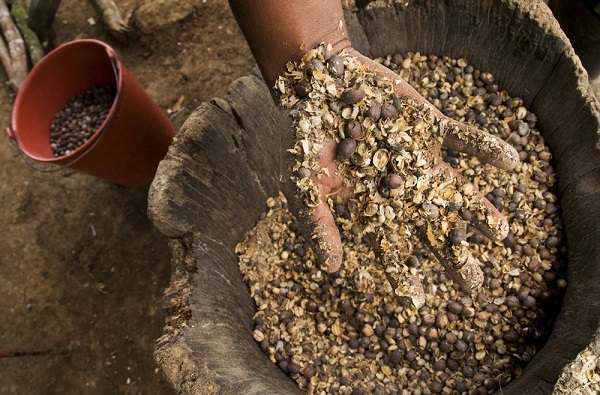 In Colombia and Guatemala, governments have responded by assisting farmers in planting rust-resistant varieties of coffee, which have proven effective in some short-term case studies, but are not popular among specialty roasters who claim engineered coffees have inferior cup quality. The US government has also announced a $5 million partnership with Texas A&M University’s World Coffee Research center to create stronger strains of coffee that will fight off future pests and plagues. Yet due to fast evolving and fluid outbreaks, “the science is always three years behind,” Firl said. There are many varieties of coffee rust along with other coffee diseases and researchers often struggle to make hybrids resistant to multiple conditions. Fungicides, insecticides, fertilizers and even pruning equipment all require significant investment. Even if governments were to provide subsidies to coffee farmers for such products, large-scale education programs would be needed to teach growers about rust-prevention techniques and planting methods, Baker said. Fighting region-wide epidemics requires massive, multi-national campaign efforts, which can be difficult to organize due to the fact that coffee is an “orphan commodity,” or a crop without a global institution to direct and oversee development trends. “Unlike the CIMMYT international corn and wheat center in Mexico or the IRRI rice center in the Philippines, there is no equivalent organization for coffee,” Baker said. Few crops are in the world are grown like coffee. The results create not only a decentralized, country-by-country response to disaster relief, but also a global deficit in research and development on coffee production. Speaking at the Let’s Talk About Roya conference in El Salvador last fall, Baker said worldwide investment in R&D for coffee totaled about $100 million per year. 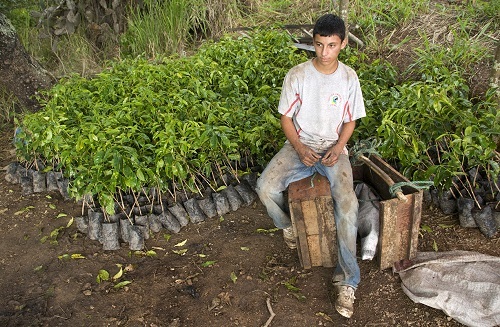 Image: Coffee in Nicaragua (Diego Cupolo). Normally, Baker said industries spend between 2 and 10 percent of their total production value on R&D. He also pointed out the research conducted on coffee is more often focused on its health effects for consumers than on improving growing conditions in the fields. For these reasons, even the root causes of coffee rust remain unclear to many scientists studying the epidemic. To obscure matters further, there are no official figures on how many crops are lost to disease or how much land is used to grow coffee worldwide. All we know is how much coffee reaches the market, Baker said, a method of commerce that disregards the supply chain and strictly values the end product. Other areas like Vietnam, Indonesia, Laos, Myanmar and China where much of the rising coffee production is driving deforestation. While sustainable and fair-trade coffee certifications have made significant impacts on the industry over the last decade, Baker said they haven’t done enough to curb destructive land use practices. “That’s a principle problem, that you have a lot of new coffee coming onto the market every year and most of that, I think, is coming from deforestation so this is something the coffee industry doesn’t really want to talk about, but it’s happening,” Baker said, citing studies by David Gaveau of the Center for International Forestry Research, that link coffee price fluctuations to deforestation rates in Sumatra. The globalized production of coffee has kept crop prices relatively stable. New exports from Asia replace crop losses in Latin America and, until recently, consumers have remained unaffected. Adding to the long list of sustainability problems, Baker said coffee production has become dangerously concentrated over the years, with just four countries exporting 2/3 of the world supply. If one nation undergoes a climate-related event and production is affected, such as the drought in Brazil, the impact that single event can be amplified through the industry worldwide. 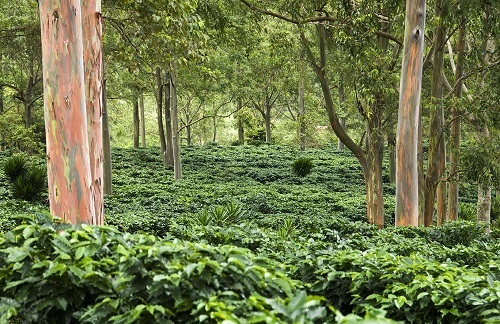 In 1870, Sri Lanka was the largest coffee producer in the world. At the time, it was a British colony known as Ceylon and the small island supplied Europe with much of its coffee until the first signs of a rust outbreak appeared in 1875. The fungus spread quickly and the colonizers failed to slow infection rates, resulting in the loss of 95 percent of the coffee harvest in less than 20 years. With a once thriving industry decimated, local coffee growers began planting tea. Today, many argue the Ceylon coffee rust outbreak of 1875 is the primary reason behind the British addiction to tea. They were forced to adapt to new circumstances. It’s too early to tell whether the same fate awaits Central and South America, but the prospects are worrisome, Firl said. Most efforts to combat the outbreak have been centered on developing new fungicides and fungus-resistant coffee trees, Firl said. Yet these remedies have proven to be problematic in Honduras, where 50 percent of coffee plants were rust-resistant varieties and the nation still suffered a 28 percent loss of coffee yields during the most recent outbreak. Firl said chemicals and laboratory solutions alone cannot stop the spread of rust. Organic fertilizers, soil quality and field management are all important components in combating the plague. Image: Coffee fields in Costa Rica (Diego Cupolo). 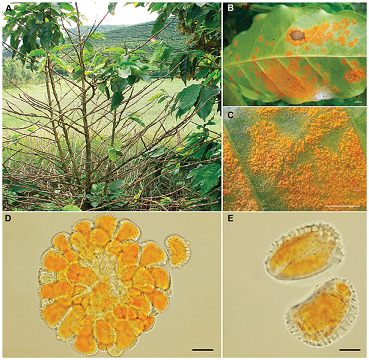 In response to the Ceylon rust outbreak, growers in Southeast Asia and Africa also replaced much of their Arabica coffee trees, the rich-flavored variety preferred by specialty brewers, with the more bland, but more resilient Robusta coffee trees. Today, Latin America still produces most of the world’s Arabica coffee beans, but if the problems persist more coffee growers are bound switch to Robusta, Baker said. Taste aside, larger coffee distributors will adapt to changing climate patterns by finding substitute suppliers, Firl said. Global demand for coffee is rising and consumers will likely remain largely unaffected as the production landscape is rearranged throughout the world. “A year ago, roya was in the news for two or three weeks, and my theory is that once the industry recognized that supply wouldn’t be effected, that they’d just have to move production elsewhere, the issue just completely dropped of the map,” Firl said. In times when there have been few alternatives, coffee has sustained families in rural regions throughout Latin America. The present epidemics have dealt significant blows to coffee growers in the region. While some farmers will continue to thrive, others may not, but all will be forced to adapt in the face of global climate change.